Ministry of DefenceCaptain Dean Sprouting. A British army officer has died suddenly on an air base in Iraq, the Ministry of Defence has confirmed. Captain Dean Sprouting of the Adjutant General’s Corps died at Al Asad Air Base, a joint US-Iraqi facility in the west of the country, on 31st January 2018. He was serving with Black Watch, 3rd Battalion, Royal Regiment of Scotland at the time. 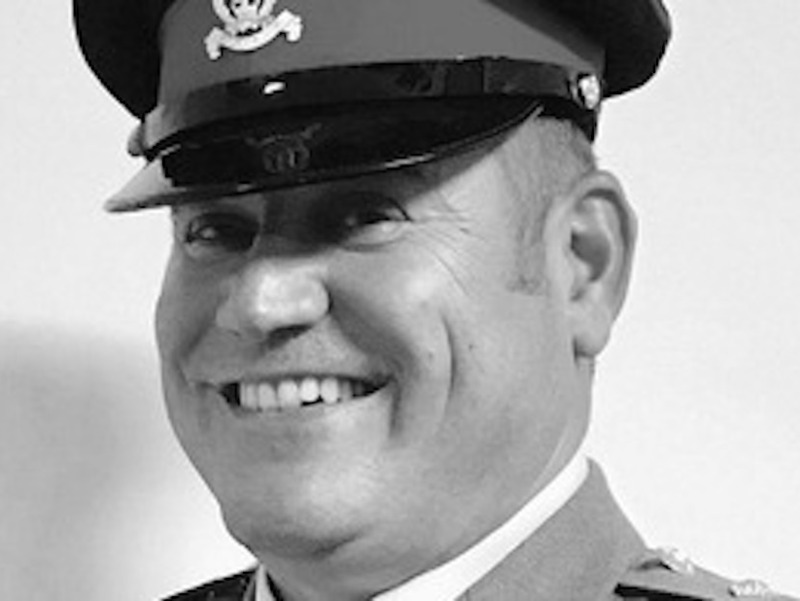 “It is with deep regret that the Ministry of Defence confirms the death of Capt Dean Sprouting of the Adjutant General’s Corps, who died earlier this week at Al Asad Air Base in Iraq. Captain Sprouting had been a soldier since 1989, according to a biography published online by the Army. He originally joined an infantry unit, but had spent most of his career in administrative and support roles. The Army said Sprouting had served in Yugoslavia, Kosovo, Cyprus, Sudan, and Angola. It said he was in charge of a human resources team in Iraq, which provided support to around 300 soldiers. He was married and had two children.